Live updates from Merseyside and west Cheshire have finished for the day, but we'll be back from 08:00 on Wednesday with more of the latest news, sport, weather and travel updates. It should be dry until rain arrives around midnight, before clearing for brighter skies on Wednesday. Highs of 8C. Video caption: Rain will disappear later this afternoon but it will start pouring again tonight.Rain will disappear later this afternoon but it will start pouring again tonight. 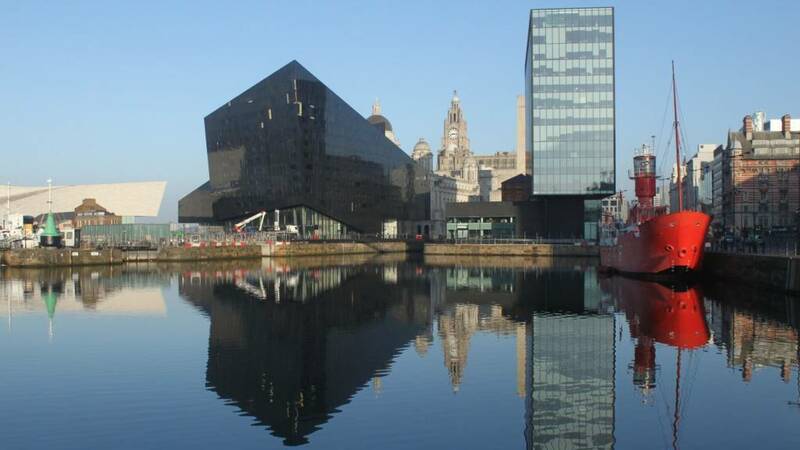 A councillor in charge of Adult Social Care in Liverpool has said the authority is struggling to deal with falling budgets and increasing demand. Paul Brant's comments come as a major care provider said businesses across the North West are questioning whether they can continue with the money councils pay them. Video caption: Cllr Paul Brant says anybody who understands the current situation "should be worried"Cllr Paul Brant says anybody who understands the current situation "should be worried"
A drug-driving case has been dropped following a review of blood test data from a forensics laboratory at the centre of a police investigation. Samples taken from the 26-year-old Chester man were analysed by Randox Testing Services (RTS) in Manchester. Two employees at RTS were previously arrested over claims data may have been manipulated. The Crown Prosecution Service said there was too little evidence for a realistic prospect of conviction. UKIP leader Paul Nuttall has been interviewed as part of the criminal inquiry into the Hillsborough disaster. Mr Nuttall, who is standing in the Stoke-on-Trent Central by-election, told the BBC he spent "three hours" on Monday giving a witness statement to Operation Resolve. He was interviewed following claims he attended the 1989 FA Cup semi-final. The MEP faced a fierce backlash earlier this month over false claims he lost close friends in the tragedy. Liverpool defender Casey Stoney has been recalled to the England squad after recovering from injury for the SheBelieves Cup in the United States. England take on the three top-ranked teams in the world, USA, Germany and France, in the tournament. They face France in their opener on 1 March in Pennsylvania. The team will then face the hosts and world champions in New Jersey on 4 March and European and Olympic champions Germany in Washington on 7 March. The business secretary, Greg Clark, has told MPs that Vauxhall workers in Luton and Ellesmere Port have no reason to fear for their jobs. His assurance came as he answered questions about the possible takeover of General Motors' European operations, including Vauxhall, by the French PSA. PSA owns both Peugeot and Citroen and its interest in buying the GM businesses was announced last week. Mr Clark met the PSA board and French industry minister last Friday. The Liverpool-born creator of the BBC drama Call the Midwife - which has been drawing 10m viewers - says she's staggered at its success. Heidi Thomas was joined by her husband Stephen McGann - also from the city - who plays Dr Turner and other stars when meeting international tv buyers at BBC Worldwide's annual export event in Liverpool. She said the global appeal of Call the Midwife, which has sold to 237 territories, is "amazing". Quote Message: I can sort of believe it but when you take a step back and you think, my God, I've been doing it for six years now, it's amazing. I can sort of believe it but when you take a step back and you think, my God, I've been doing it for six years now, it's amazing. I mean I love the programme with every fibre of my being. I'm not bored with it yet but it still staggers me that it's been so popular for so long now. The Northern Powerhouse project is a "marathon" where change could happen "over many years", the former head of the civil service has said. Lord Kerslake said that the leadership that was needed to drive the initiative had to come from the region itself in a keynote speech opening the UK Northern Powerhouse International Conference in Manchester. As chairman of the UK Northern Powerhouse Advisory board, he said that there was a need for a "major shift" of power away from London. He added it had become "increasingly clear that a successful Northern Powerhouse is essential to the country if it is going to tackle the deep structural economic problems we face and create a more unified country". Heavy rain and strong winds arriving in the afternoon. Highs of 12C. M56 Cheshire eastbound severe disruption, between J14 for A5117 and J12 for A557. M56 Cheshire - One lane closed on M56 eastbound between J14, A5117 (Hapsford) and J12, A557 (Runcorn), because of a broken down vehicle. Traffic is coping well. No-one is believed to have been injured after a parked car went up in flames in Hoole, Chester, yesterday evening. A student has been splitting his time between university and helping refugees in France. Dan Chapman, from Ormskirk, volunteers with the charity Care4Calais and has spent around seven weeks teaching English to refugees who are still living in the area of the former Jungle Camp. The 18-year-old, who studies social work at Edge Hill University, was inspired to help out after hearing about volunteering during a talk at his former school. Benefits advisers in Liverpool are warning of a crisis over changes to the payment of allowances. Disability Living Allowance (DLA) is gradually being replaced by a Personal Independence Payment - or PIP. Marie Rimmer, MP for St Helens South, used her first Commons appearance in her new role as Shadow Work and Pensions Minister to criticise its introduction. Kristian Khan, manager of Liverpool Community Advice, says most of their drop-in appointments are with people worried about PIP. If one benefit is to go it can lead to the loss of other things as well which have really helped and support somebody to live their day-to-day live with their long-term health condition. The Learning Rooms is one of 98 projects across the North West sharing £4,077,871 in the latest round of Big Lottery Fund awards. Time for some light relief - a plethora of TV stars are in Liverpool for the BBC Worldwide showcase. More than 700 buyers have travelled to the city for the annual event, which exports British TV programmes abroad. Stars from popular shows Call the Midwife, Absolutely Fabulous, Sherlock and Death in Paradise were at a gala event at ACC Liverpool last night to promote their shows to foreign broadcasters. Matt Le Blanc joined his Top Gear co-stars while Take That's Gary Barlow was highlighting the success of Let It Shine. The demand for British drama continues to rise as global audiences are captivated by both the range and quality of our writing, acting and production.